In her most recent New Media Minute, Daisy Whitney talked with my good friend Mark Robertson, publisher and Founder of ReelSEO, and leading expert in online video search, about the secret sauce of video SEO. Mark says that content creators shouldn’t get bogged down in the inner workings or search, but that publishers should. Take note online video publishers, take video search seriously!! Mark points out that a large portion of discovery comes from search, but search engines have a difficult time crawling and searching for video content. So he recommends several video best practices video best practices to make sure your video is discovered by search. Besides having great, unique content and relative content, and metdata to surround the video, and a well optimized website – Mark says that creating and submitting a Google Video Sitemap for your video content is the best way to show up in Universal Search, and your best chance to show up on page one of Google search. Want to get more views for your videos? Have you optimized them for search? 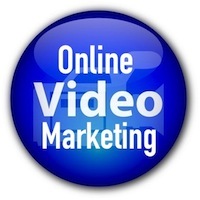 Knowing how to get your videos found via search can make a big difference in your views. But it’s something few video producers do. So come learn the tricks of Google video search from Mark Robertson with ReelSEO!